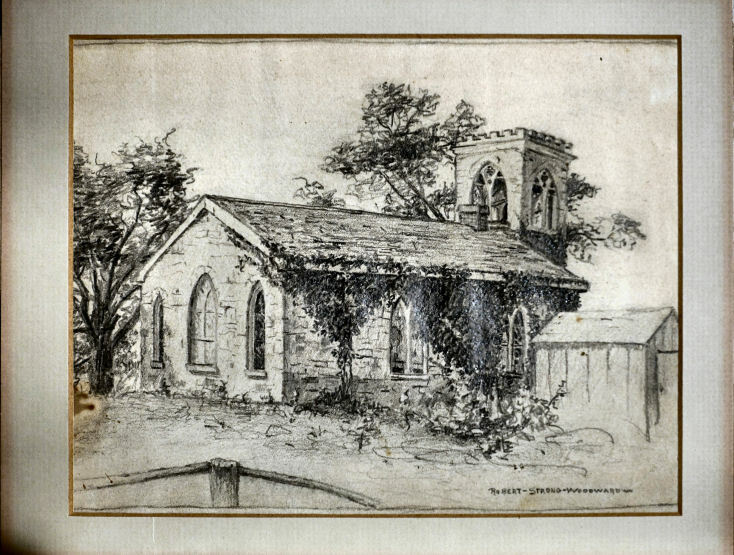 RSW- Artwork page, "Christ Church Limestone- Sketch"
This sketch was drawn by Woodward while a student attending Bradley Polytechnic Institute in Peoria, IL. Visit the Christ Church Limestone website for more. Additional information can be found on the Christ Church of Lower Kickapoo Wikipedia page. See also Woodward's entry to the 7th Annual Bradley Institute's Art Exhibition in 1919. This sketch of the Christ Church Limestone in Hanna City, IL just west of Peoria was drawn by Woodward while a student attending Bradley Polytechnic Institute. The church was constructed by church members primarily from local materials in the architectural style of their homelands. 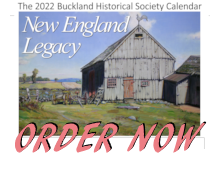 The cornerstone was laid on May 17, 1844 and the finished structure was consecrated on December 10, 1845. Formerly an Episcopal congregation, Christ Church Limestone is now a member of the Anglican Church, Diocese of Quincy. 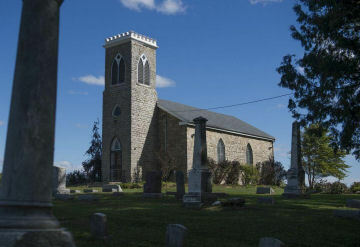 The church is included in the National Register of Historic Places of the United States. 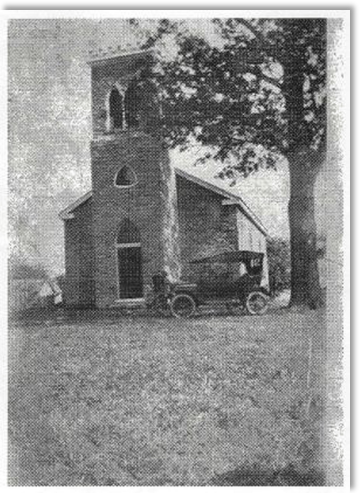 To the right: is a photograph of the church in the year 1900. One can clearly see the beautiful tree in front of the church, as well as, the shed faintly showing in the left of the picture. We could not find ANY pictures of the church from the back but hope to secured one soon. Below: you can see the church as it looks today. Gone is the large tree in front and the shed. However, the church itself remains in remarkable condition and is really quite eloquent in its simplicity. Woodward attended the Bradley Polytechnic Institute in Peoria, IL from 1902 to 1906 between the ages 17 to 21. His studies were mostly in the liberal arts. He also did some acting, joined a fraternity, served on the school council and was art editor of the school's yearbook. We know from his personal letters to his close friends, during that time, he attended church regularly but we do not know if he was a member of this church.